A man from Rugby has appeared in court after being charged with assault and exposure. He was charged after Warwickshire Police received a report that a man in his 80s had been hit over the head with a wooden stick during a break-in in Rugby. He appeared at Warwickshire Magistrates' Court on ThursdayJanuary 24 and was remanded to appear at Warwickshire Crown Court onFebruary 21. The assault happened in Dunchurch Road on the morning of Tuesday 22 January 22. The victim suffered serious head injuries that required hospital treatment. Marcin Gacioch, 32, of Victoria Street, Rugby, was arrested shortly after the incident. He was also charged with exposure after it is alleged he exposed himself to a woman in Dunchurch Road around the time the assault occurred. 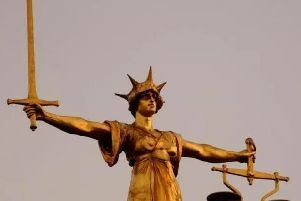 Gacioch appeared at Warwickshire Magistrates' Court on Thursday January 24 and was remanded to appear at Warwickshire Crown Court on February 21.